synopsis (EN) As the days grew shorter and colder, the nights longer and darker, home seemed to be no more than a distant memory for our brave warrior. He finally approached his destination of Grannach when a band of armoured riders pounded through the crowd of corpses. Their dark shapes were rushing towards him, but our warrior could not tear his eyes away from the reflecting vulture symbol on one of the riders armour. 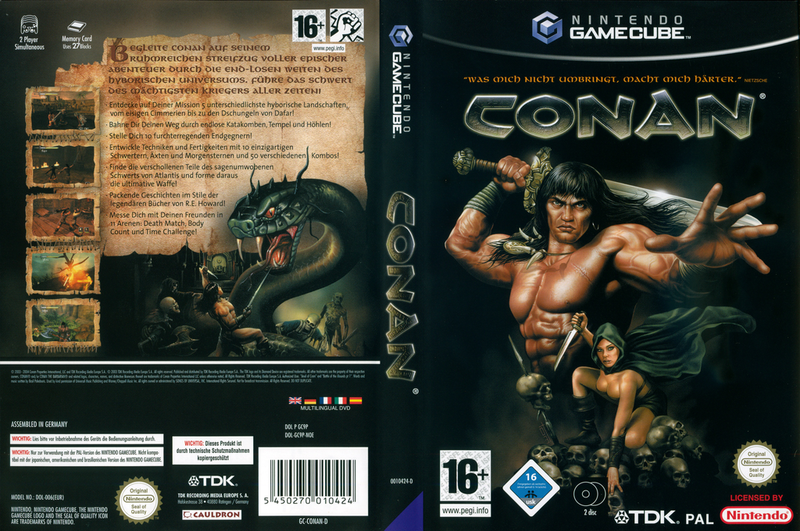 Take control of the sword of the greatest hero to roam the lands of Hyboria - Conan. Having seen your native village of Grannach burnt to the ground you now begin your quest for revenge. You will fight your way across the Black Mountains and rivers in search of the cult who brought death to your home. You will have to master various swords, axes and the mace in order to complete this perilous journey. As the story unfolds you will find yourself face to face with strange mystical creatures that test your fighting skills to the death. 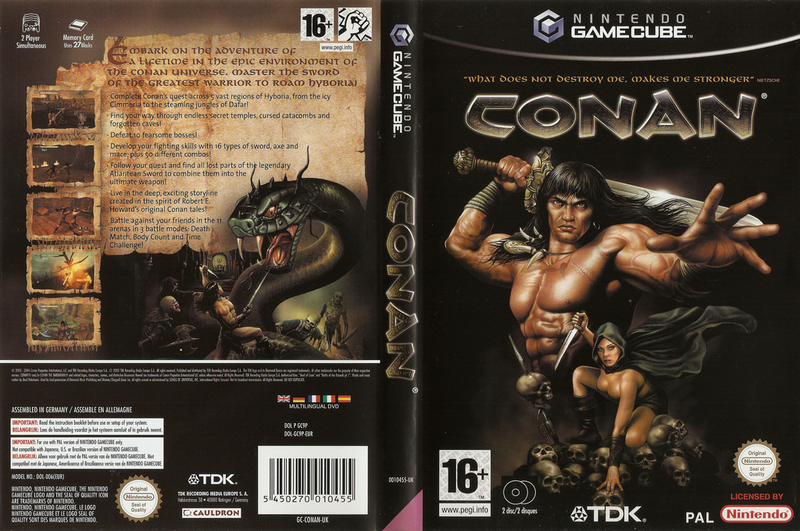 Discover the entrances to temples and caves along the way, where you will scale walls, leap obstacles, solve puzzles and retrieve the pieces of the Atlantean Sword in order to help you in achieving your destiny of defeating The Vulture Cult.